Jeff Walsh investigated the Frank Lee Smith case for 11 years, working for more than 10 of those years with the Office of the Capital Collateral Representative, a Florida agency that provides post-conviction representation for indigent death row inmates. Walsh has been a private investigator in Florida since 1997 and currently is with the Georgia Resource Center, a nonprofit law firm providing counsel for Georgia's indigent death row prisoners. Frank Lee Smith suffered a lifetime of poverty, abandonment, neglect, abuse, alcoholism, mental illness, and, ultimately, incarceration. Moreover, there was not an adequate social safety net in place to catch Frank, sufficiently address all that was awry, and help to alter the direction of his life. Instead, he was left to fend for himself from birth. Fourteen-year-old Ruby Lee Smith gave birth to Frank, the second of her three children, on July 20, 1947, while living in Valdosta, Georgia. Frank was instantly thrown into a world of poverty, turmoil, and confusion. His family was destitute, living as sharecroppers in a racially segregated south Georgia. Both of his parents were uneducated and barely able to provide for themselves, let alone a growing family. Not long after Frank was born, his father became involved in criminal activity and was fatally shot by the local police. Ruby was devastated by the loss of her husband, and she was not equipped to single-handedly fulfill the responsibilities of being a teenaged parent. Ruby also had serious problems of her own, including alcoholism and emotional instability. Her lifestyle and emotional shortcomings left Frank without a stable home. His brother, Ruben Smith, recalled that while the family lived in Georgia, Frank suffered a profound head injury when he was about three years old. Ruby was holding Frank in her arm while she was in a bar. A fight broke out, and someone threw a bottle that split open Frank's head so badly that his brain tissue was exposed. This, and another serious head injury when Frank was a teenager, resulted in brain damage from which Frank would never recover. When Frank was still a young boy, Ruby and her children moved to Fort Lauderdale, Fla. Having no job skills and no reliable income, Ruby turned to the streets. She took up prostitution, and eventually was brutally raped and murdered. Prior to her death, it was commonplace for Frank and his siblings to be left alone for extended periods of time. When she was at home, Ruby often had men over who were known to be violent criminals. As Frank was growing up, he never had what he needed the most: positive role models, guidance, affection, parental nurturing, and a stable family unit. Frank spent most of his time in the streets of Fort Lauderdale. He soon fell prey to the ways of the older and more troubled boys in the poorest neighborhoods of the city. His truancy rate was alarming and his performance in school was near failing. When Frank was seven, his mother was found to be unfit, and he was placed in a foster home. His foster mother described Frank as a sad and mentally slow child. However, she did not have the training to care for a child with special needs. After being in foster care for three years, the juvenile court turned Frank over to the care of his elderly grandmother. Living conditions in her home were very poor, and there was little to no supervision. Frank was again left to fend for himself in the drug- and crime-ridden streets of Fort Lauderdale's poor neighborhoods. At age 13, Frank was involved in a fight following a local football game. He was subsequently convicted of manslaughter and sent to the Florida School for Boys at Okeechobee, a facility that was known at the time for overcrowding, hog-tying of young boys, sexual abuse, and cruel treatment. While at the boys' home, Frank was subjected to beatings from staff and peers, sexual molestation, and drug use. Upon his release, Frank returned to his grandmother's home and the dangerous streets of Fort Lauderdale. At age 15, he suffered another serious head injury -- this time it was a hard blow to the base of his skull with a blackjack. As Frank grew up, his brain damage and profound emotional shortcomings developed into serious mental illness. He was left untreated, and his condition worsened as he was periodically exposed to the violent and overcrowded juvenile detention system. Frank continued to live aimlessly on the streets of Fort Lauderdale as a brain-damaged and mentally ill young man. His older brother, Ruben, and some others persuaded Frank to take part in a robbery scheme. The plans went all wrong and at the age of 18 Frank was convicted of murder and received a life sentence. Frank served 15 years in prison. Released in 1981, Frank promised himself that he would never again return to prison. Frank fulfilled that promise as he lived a quiet life at his aunt's home without incident. 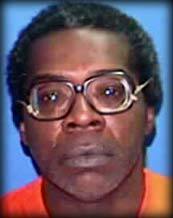 When a horrific crime happened in Fort Lauderdale -- the Shandra Whitehead murder -- Frank was arrested, wrongly convicted, sentenced to death, and died of cancer while attempting to prove his innocence. Tragically, it was not until Frank was wrongly convicted and sentenced to death that the magnitude of his mental illnesses was diagnosed. For the first time, a detailed evaluation was conducted, including psychological testing, interviews of family members, and a collection of records documenting Frank's life. In addition to being brain-damaged, it was discovered that Frank was, among other things, schizophrenic. Frank Lee Smith never had a chance. His world was lacking all the fundamental building blocks of life that many of us take for granted. Frank's world was without equality and opportunity. He was an impoverished, brain-damaged, and mentally ill African-American man who was left undiagnosed and untreated -- despite exhibiting all of the classic symptoms -- while under the care of those officials managing the education, foster care and juvenile detention programs. Any of these institutions might have made a difference in Frank's life had they thoroughly evaluated him and his situation, rather than casting him aside. Frank never knew stability; he lived in a home without parents or guardians capable of providing a loving, safe, and nurturing environment. Frank never knew security; he lived in a violent and dysfunctional world and all those who could have provided protection failed him. Frank was without happiness or freedom; he did not choose to be brain-damaged and mentally ill and he did not choose to spend the final 14 years of his life locked in a six-foot-by-nine-foot cage, tortured for a crime he did not commit. Equality, opportunity, stability, security, happiness, and freedom. Those are some of the words often thrown about to describe the desired conditions under which our children should be raised in this country. They should have loving and attentive parents or guardians, dynamic educators, access to proficient health care professionals who can identify and adequately treat illness, safe and clean neighborhoods, communities that provide opportunities for our children to explore and develop their artistic or athletic talents, and access to an inclusive economic system that will provide opportunities for our children as they become adults. Our national and community leaders tell us they can provide all of this for our families. And, just in case, we are told, there is a social network in place that tends to those families that stumble and become unable to care for their children. Many a politician has campaigned for office by promising to provide such a world. You have heard them say it: We will leave no child behind. If the truth be told, it does not happen that way for every child. And it did not happen that way for Frank Lee Smith.